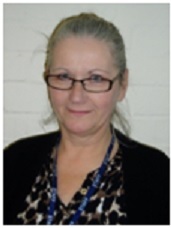 Jan Avery Harris is the Research Lead for Cherwell School and her specialism is Dance & Drama. Jan is working with Kate Thirlwall on a Professional Learning Programme for teachers in their second year of practise. The current project aims to look at developing appropriate language and teaching approaches to overcome the barriers created by students’ affective responses to their learning experience. Kate is currently working on an Enhanced Masters into Anxiety in language learning, and in particular performance anxiety. She is also exploring the knowledge vs skills deficiency and barriers to learning with NQTs. This OCL Fellowship project is about student empowerment through flipped learning. OCL Fellowship project on developing Afl data bases. Rae is currently completing the OCL Fellowship project on gay, Bisexual and Transgender issues. She is also working on the Farmington Fellowship project. OCL Fellowship project on supporting staff is focused on how lesson observations can be seen as opportunities for productive discussions about teaching and learning. Rachel Wallace has studied how the additional literacy tutoring, given to the Year seven pupils who need it, is sustained within mainstream classes. Tom Hollis worked on pedagogy, in relation to students who are benefiting from pupil premium funding. Tom Hollis has now left Cherwell School.